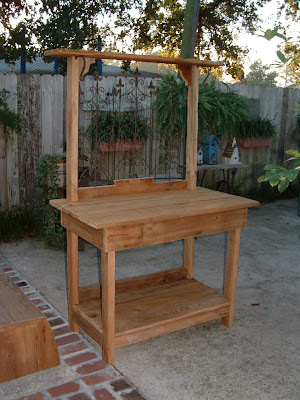 Cajun House Woodworks: New Potter's Bench! I have made at my "Cajun House" workshop. click on the banner or title and check out all my work. You may also click on any picture to enlarge it.